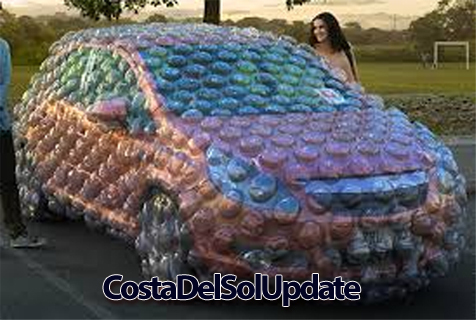 Costa Del Sol Cars Must Be Bubble Wrapped next summer in a bid to make Spain safer for tourists. 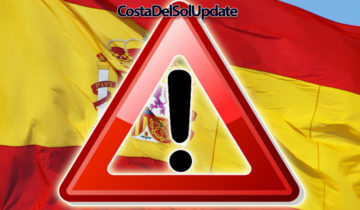 From the 1st of May 2018 all Spanish registered cars on the Costa Del Sol must be fitted with a new safety device to protect tourists who wander into the road. The new bubble wrap style safety feature has been designed to reduce damage caused to people who are too drunk or too stupid to realise that stepping into the road without first checking for oncoming traffic is a bad idea. Local motorist Stella Soitra inspecting a prototype, she said “how do you get in and out of it? 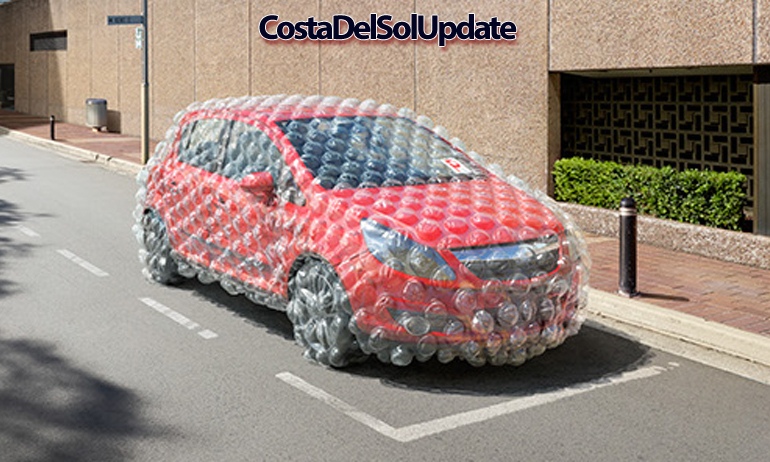 The bubble wrap is expected to cost €1000 for smaller vehicles, and up to €4000 for a Range Rover. It will come in a variety of colours, and some trim levels may have patterns. Drivers caught without the protective bubble wrap will be fined €20,000 on the spot. Officer Juan Kerr said “to some it may seem disproportionate, but you can’t put a price on safety. 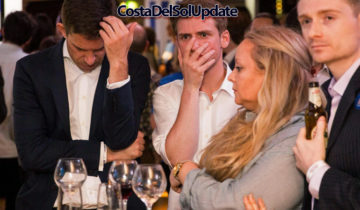 Well, you can, we have , I suppose, twenty grand is an ok price, yes”. 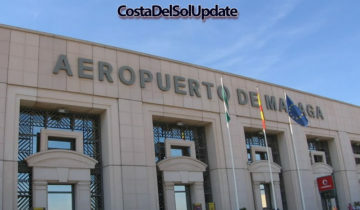 Mercedes says that “The new Michael Kors handbag she bought for €30 from the man on the beach was also damaged. It’s not right that drivers should be able to just drive on the roads when people are here on holiday. If it were up to me I’d ban them completely, except for the taxis because we need them. But I think this bubble wrap is an ok compromise”.